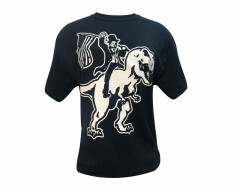 Nothing says delivering freedom quite like Abe Lincoln on the back of a T-Rex. 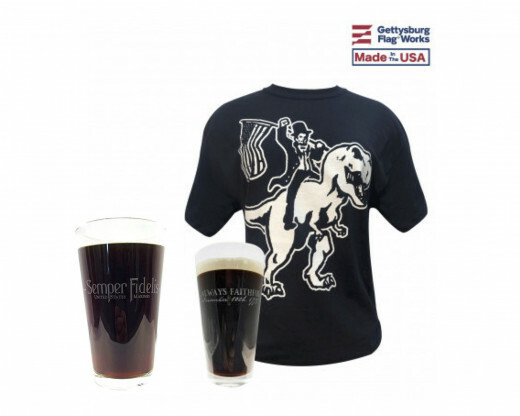 Other than Abe Lincoln riding a T-Rex and drinking a cool beer from a Semper Fi pint glass. ‘Merica. 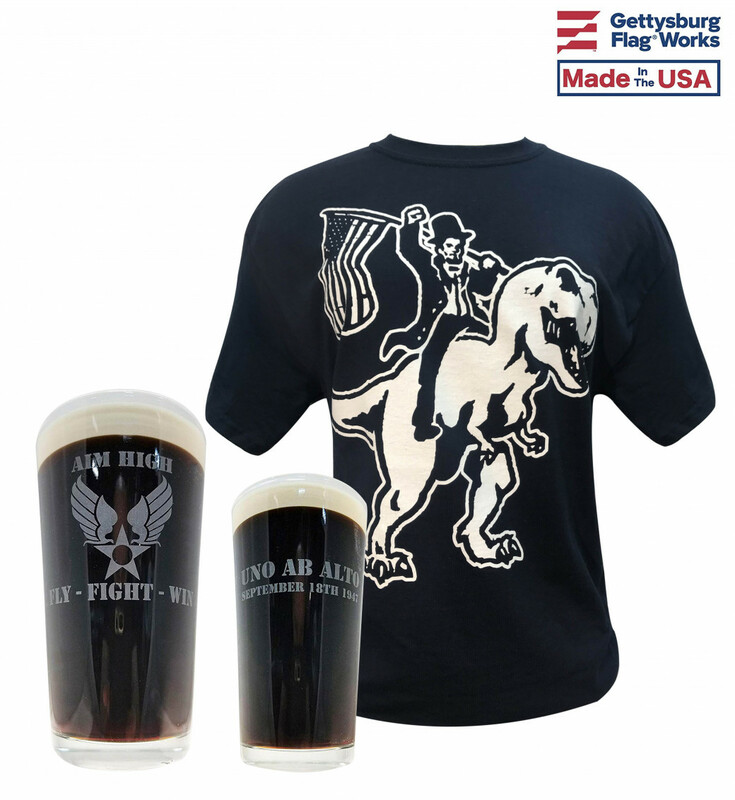 A great gift for your service man or woman, this T-Shirt and Motto Pint glass combination is sure to bring enjoyment to all. T-Shirt designed and printed in USA. 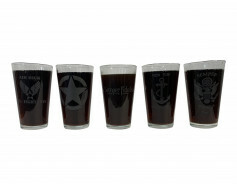 Pint glass designed and etched in USA. Base products imported. 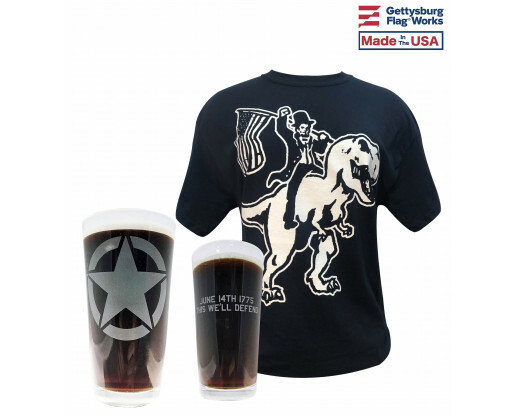 T-shirt is a NAVY BLUE, dryBlend 50/50 cotton/poly and available in Small, Medium, Large & Extra Large.